Bespoke Brewers at the Harare Beer Engine is one of only two Craft Breweries in Zimbabwe (not counting Shabeens and home-brewers). Situated just a couple of blocks away from the Harare Central station it is the perfect stop when in the Zimbabwean capital. They have five different beers on tap. Sold in the Harare Beer Engine at one US dollar 330ml glass. The capacity is fairly high with nine fermenting tanka (á 800 liters). 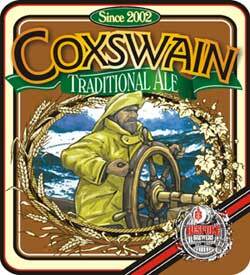 Coxswain Real Ale (4.5% abv) Handcrafted fresh, natural unpasteurised beer. Genuine English real ale draught beer fermented, stored and dispensed by traditional displacement pump (the beer engine) direct from temperature controlled 18 gallon Kilderkin cask.Taste: A lilting aroma of English ale hops, sweet malt – quenching and malty in the mouth – with a long, lingering bitter-sweet finish in which the hop’s malty and peppery characteristics slowly start to dominate. 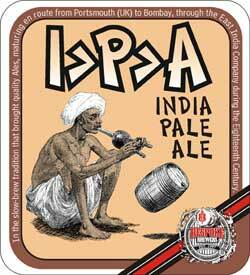 India Pale Ale (IPA) (4.5% abv) Based upon genuine India Pale Ale that was slow brewed and transported to India in casks by the East India Company in the 18th century. Taste: A strong aroma of English ale hops, fulsome and malty in the mouth – with a long, strong lingering bitter-sweet finish in which the hop’s malty and peppery characteristics dominate. 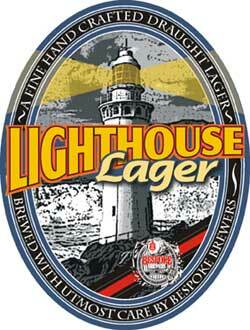 Lighthouse Premium Lager (5% abv) Natural, unpasteurised beer brewed using only the finest German and Czech hops (Hallertauer Hersbruker, Pilsner Saaz).The beer has a distinctive aromatic taste and fragrance comparable to the beers produced by breweries of central Europe. Taste: A lilting aroma of hops, sweet malt – quenching and malty in the mouth – with a long, lingering fruity bitter-sweet finish in which the hop’s citrus characteristics slowly start to dominate. 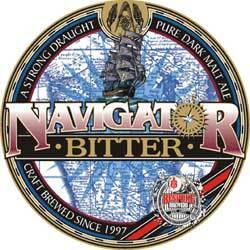 Navigator Premium Bitter (4.5% abv) Genuine English Keg draught bitter. The hops used are a blend of East Kent Goldings hops for acidity, with the flavour and aroma of Fuggles hops for that typical distinctive ale flavour and taste. Taste: A lilting aroma of Endlish ale hops, sweet malt – quenching and fulsome malty flavour in the mouth – with a long, lingering fruity bitter-sweet finish in which the hop’s malty and peppery characteristics slowly start to dominate. 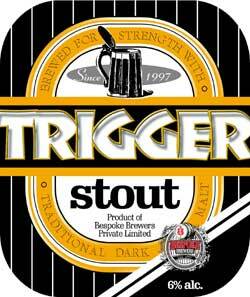 Trigger Stout (5.5% abv) Handcrafted, fresh, natural unpasteurised beer. Based upon a genuine 19th century invalid nourishing stout brewed by Marstons Brewery, Dorset, England. Hops are high alfa-acid East Kent Goldings and the malt is traditional floor malted Chocolate malt from Crisp Maltings. Taste: A strong aroma of English ale hops, fulsome and malty flavour in the mouth – with a long, strong lingering bitter finish in which the malty and peppery characteristics of the malts dominate. A vast selection of beers expertly brewed in-house. A pub with real character situated in the CBD. The kitchen prepared one of the tastiest sadza nyama’s I ever tasted. The best value for money in Harare. Opened up by owner/brewer Peter Trigg in 1997, and still and still trading. That’s consistency!.